Oral Sedation allows the patient, who would otherwise elect not to see the doctor, the chance to have their work completed just by taking a small pill. For some patients, dental phobia means avoiding trips to the dentist altogether, jeopardizing oral health. Many types of dental work such as root canals, tooth extractions and dental implantation can be extremely intimidating procedures. For others, fear of pain and needles, or bad experiences with past dental work can be a major deterrent towards completing much needed oral care. Oral sedation allows you to relax through your dental visit. Safe and effective, oral sedation may be used to minimize fear and anxiety and allow you to acquire the dental treatment that you need or desire. With sedation dentistry, patients in our Ottawa clinic can alleviate the fear and anxiety that may occur with a trip to the dentist. At Fairlawn Dental Centre we offer two forms of sedation to help you relax in the doctor’s chair. Oral Sedation is taken in the form of a small pill. Safe and effective, it works to reduce anxiety and can help patients through many types of dental work. 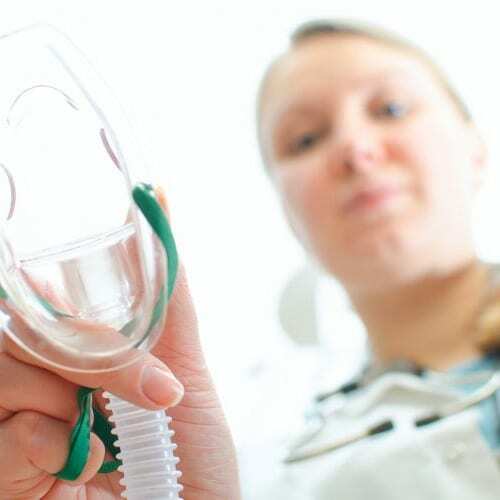 Dr. Jaleel also offers Inhalation Sedation dentistry (Nitrous Oxide Gas), often referred to as “laughing gas”, as an effective anesthetic that has many benefits for patients seeking dental treatment. It works quickly and wears off quickly, inhalation sedation is administered with a face mask, to help you feel relaxed. Put your fear aside and relax in a comfortable, welcoming environment. Our staff is committed to providing oral care in a safe, gentle, and effective manner. Don’t let dental phobia stop you from getting the treatment you deserve. Check all the services in General & Family Dentistry.